Home n' Yard had a wide range of products. Pet products, garden products, products for the bathroom and kitchen and for home décor. 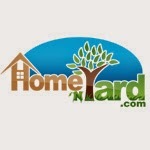 Home n' Yard also offers holiday décor, clothing & accessories and great gift ideas. Every item is reasonably priced. You can choose to decorate by a certain theme- beach, antler, chili pepper, lighthouse, dragonfly, etc. You can choose to decorate by room- child, kitchen, bathroom, etc. You can choose to decorate by season- spring, summer, winter and fall. This hummingbird feeder gets a whimsical lift from colorful art glass! A festive accent for your garden---and feathered friends will love it, too! 6 7/8 inches x 4 1/2 inches x 36 inches high. This hummingbird Feeder is too cute. I love the purples, pink and blue colors! It's perfect for that butterfly lover's backyard. Although I have not had any butterflies yet, it's still a beautiful garden accent. I look forward to being able to watch pretty butterflies land on this feeder. *Disclaimer- Home N' Yard sent me this awesome Hummingbird feeder in exchange for my honest review. Hello all! It's always good to have a Will. U.S. Legal Wills makes is super easy for you to achieve your needs when writing one. The vast majority of people do not have key estate planning documents in place. But we all know how important it is. Your Last Will and Testament names the person to take care of your affairs after you are gone, it names guardians for your children, it sets up minor trusts, and of course it determines how your estate will be distributed. Without a Will your loved ones will be left to untangle a mess. So why does everybody put off this task? 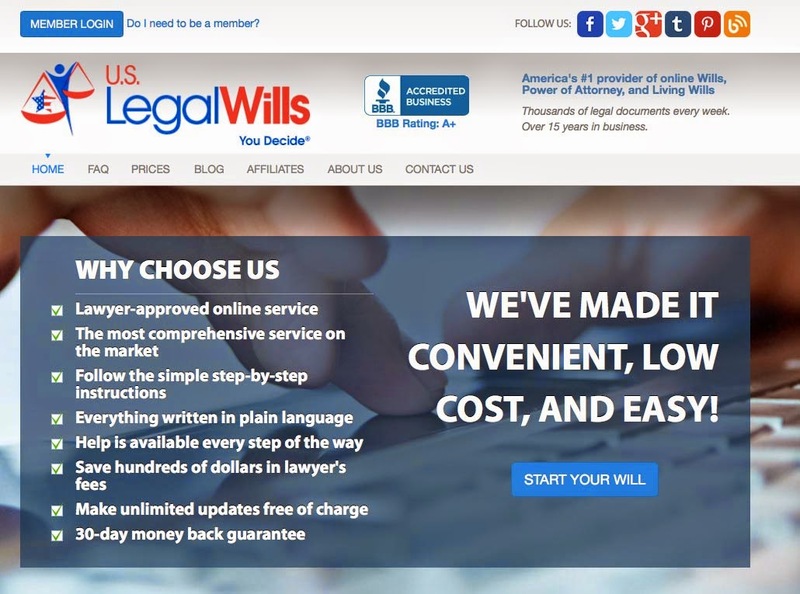 USLegalWills.com has created a service that allows anybody to prepare their Will, Power of Attorney and Living Will from the comfort of their own home; affordably and conveniently. You step through a series of questions and the service guides you through the process. If you have minor children, you will be prompted to name guardians and set up trusts. If 18 is too young to inherit, set the age to 25, or 30. After you have answered all of the questions, you then download and print your Will which must then be signed in the presence of two adult witnesses to make it a completely legally binding document. No lawyer required. Creating a Will with U.S. Legal Wills is soo simple. The website takes you through the process step-by-step and explains everything to you as you go along. It took me about 10 minutes to create my Will. As soon as I was done creating my Will, I was able to print and view it right away. All of your documents are safe and secure. The website is very easy to navigate and very well thought out. The website gives you the option to create a Will, and/or a Living Will. You also have the option to create a Power of Attorney and/or My Expat Will. You can also leave details as to what you would like for your funeral. Pricing to create your Will is very reasonable and it does not require a hefty attorney bill. If I was to give you a bit of advice.... U.S. Legal Wills is the way to go!! USLegalWills.com has been around for over a decade. *I received a free one year membership from U.S. Legal Wills, in exchange for my honest review. All opinions are my own. 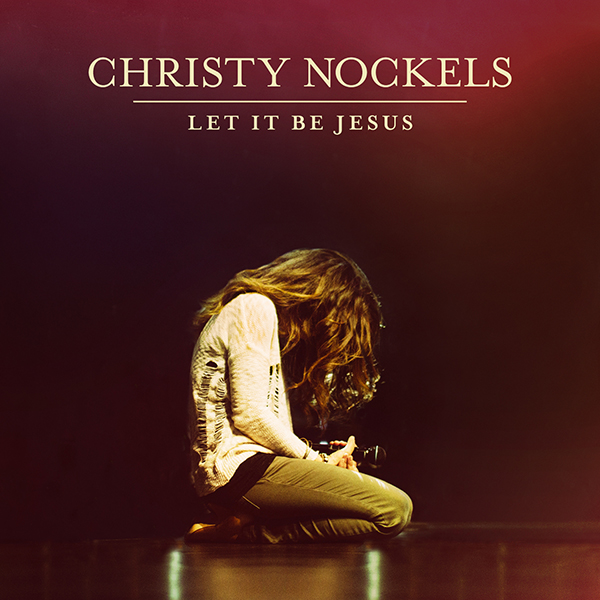 Christy has a beautiful voice. Her music and songs are amazing! I love the fact that I can put on her album, while I'm cooking, and not have to worry about what my sons are listening to. Her songs are perfect for any age. Her songs are very relaxing and calming. I really enjoy listening to her album! Good morning to you all! Happy Earth Day! HealthyCell® is formulated by Noble Price Nominee and Leading Stem Cell Researcher, Dr. Giampapa, and is a Superior Daily Multi-Vitamin, Multi-Mineral Complex that is made with a potent blend of over 90 vitamins, minerals, enzymes, and phytonutrients - a combination not available in any other daily multivitamin and multimineral product. 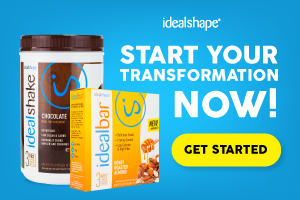 This advanced nutritional supplement supports health at the level of the cell -- the most fundamental "building block" of the body that makes up every organ and tissue. The synergy of the ingredients is based on 30 years of research into cell health. HealthyCell® daily multivitamin/multimineral complex is formulated to optimize your nutrition and improve your health and quality of life at the level of the cell - the most basic building block of the human body. Optimal cell health needs the right vitamin, minerals, and nutrients. HealthyCell has over 90 nutrients including: - 64 Plant based compounds to improve cell health - 13 vitamins for organ support - 9 minerals for cell repair - 5 enzymes for digestive nutrient absorption. I feel healthier, and more energetic. The morning multivitamin keep me active and awake during the day. Definitely more focused throughout the day as well. My nails look amazing and my skin is super soft. My hair is falling out due to child birth, so I am hoping that these vitamins make my hair grow super fast! The evening multivitamin make me fall asleep quicker. No more tossing and turning. I also stay asleep. Which is nice, seeing that my 3 month old sleeps through the night now. You receive 120 pills- 60 Morning & 60 Evening. HealthyCell® includes AM and PM formulas for 24-hour nutrition and absorption boosting nutrients. *Pregnant or lactating women should consult their physician prior to taking any nutritional supplement. Patients taking anti-coagulants or antidepressants should consult their physician prior to taking supplements. **Disclaimer- I received this product in exchange for my honest review. All opinions are my own! Hello to all! Happy Hump Day! Haha ;) Today, I have an awesome Whey Protein to share with you. Read my post and please leave your questions or comments below! Highest Biopurity Profile - Summit Nutrition's Whey Protein Isolate gives 90% of protein per scoop (25/27.7g) and maximum amount (5.6 GM) of BCCAs and (4.8 GM) of Glutamines per serving size and it's all coming from the protein not externally added. Also, the protein has all 26 Full Spectrum Amino Acid Profiles including essential, semi essential and non-essential Amino Acids with 159 Biological Value and Perfect 1.0 PDCAAs Score. Zero Fat, Very Low Carb and Cholestrol - Summit Nutritions Whey Protein isolate has zero fat and very less, in fact less than 1% Daily Value of Cholesterol and Carbohydrate which is much better than other proteins. In addition to this, there is ZERO FILLERS OR EXCEPIENTS. Non-GMO, Lactose Free, Soy Free & Naturally Flavored Instanized - Summit Nutritions Whey Protein Isolate is free of Lactose, Soy Gluten, BSE/TSE, non-gmo and naturally flavored with Stevia. The protein is gently spray dried and lecithinated into granular free flowing powder which readily dispersible in water. NEW 100% Non-Protein Spiking Pure Whey Protein Isolate Instanized (25/27.7g) Clean Label: NO PROTEIN COMPLEX: Non Denaturated: Non Ion Exchanged: Naturally Flavored: 5.6 BCCAs & 4.8 Glutamines (Highest In class): Lactose Free: Gluten Free: Non-GMO: Kosher Certified: 0 g Fat: Cholesterol & Carbohydrate < 1% DV. Candy! Who doesn't love candy? Today, on my blog, I have SweeTarts Soft & Chewy Ropes!- Formally knows as Kazoozles! The ropes have a Cherry Punch Flavor and are filled with punch filling! 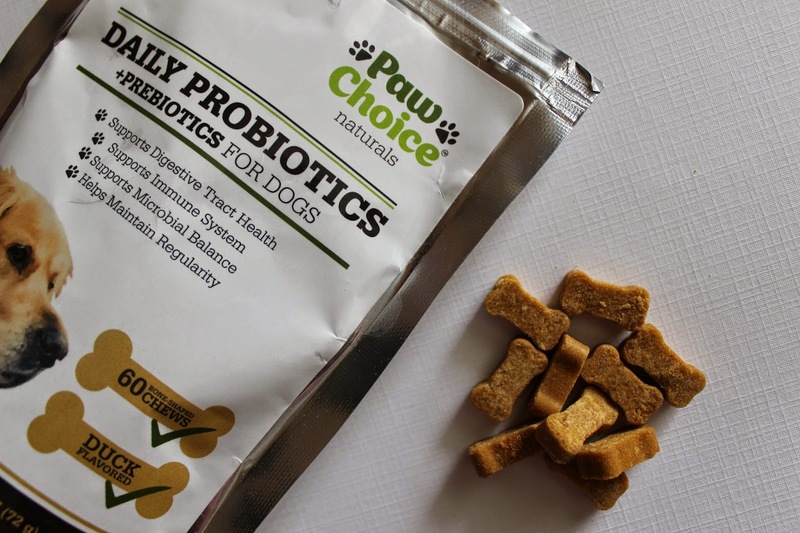 Contains Wheat ingredients so there are NOT gluten-free! Available in 1.8 oz and 3.5 oz packages. Here is a close-up of the ropes. As you can see, they have no artificial flavors or colors. 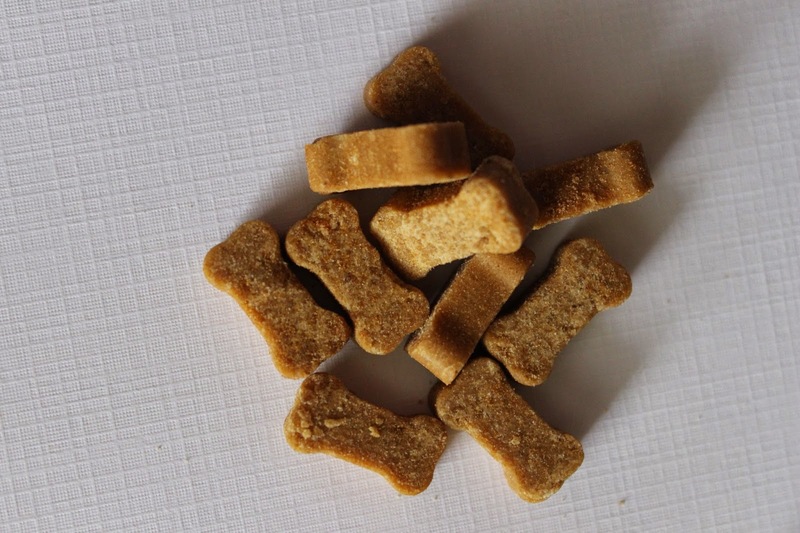 This chewy licorice has and electrifying flavor fusion of sweet and tart. These are being compared to Twizzlers. Personally, I am a huge Twizzler fan. But, these are alright. I am not crazy about the cherry punch flavor. Hopefully, these will be available in different flavors soon :) They are good for kids because they are soft. Chewy but not as chewy as caramel. These would make a great snack for the movie theaters! Hey! Did everyone have a great Easter? I sure did :) But, I'm glad its over! Cooking is a lot of work, am I right?? Well, today, I share with you Life & Food's Omega-3s. Check out my review! 644/336 EPA/DHA levels (Meeting GOED standards). 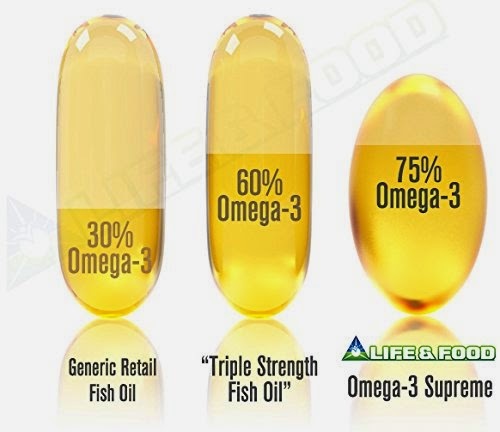 Fish Oil concentrate made from IFOS 5-star certified fish oils (raw material). Contains the minimum recommended 1,000 mg (1g) of Omega-3s per serving. Sourced from wild Alaskan caught Pollock. Sustainable and certified operation by MSC. USA Manufactured and laboratory tested in FDA, GMP, NSF certified facilities. Easy to swallow soft gelatin capsules. Enteric coated with no fish burps, or after taste, our Supreme grade Omega-3 Fish Oil supplement promotes cardiovascular health, joint support, cognitive support, circulation and helps in maintaining cholesterol levels†. Studies have shown that diets high in Omega-3 fatty acids - EPA and DHA -- may lower a person's health risks. By eating a diet rich in fatty acid containing fish - cold-water swimmers such as pollock, sardines and salmon, can lower your cholesterol and blood pressure. Some studies show there is a proven link that EPA and DHA reduces inflammation from arthritis conditions, such as rheumatoid arthritis. Non-meat sources of Omega-3 include olive oil, walnuts and flaxseed.